The sunshine returned but the 'warmth' did NOT! The last I checked, we had warmed up to a balmy -10C (and there was still the addition of windchill!) UGH! I had to dig out the long underwear and snow pants AGAIN (not that they were truly put away)! I'm not sure who is more in shock of the latest blast of cold ... the humans or the animals? 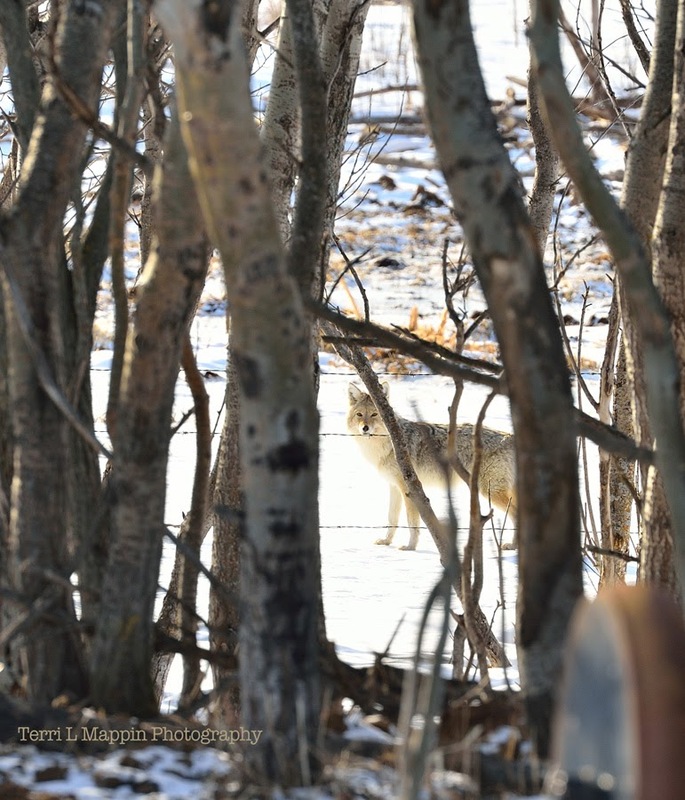 This beautiful coyote was passing through and made a pitstop at one of our livestock waterers ... the sloughs and puddles are frozen once again! Wow, what a grand photo! I love how the trees frame the coyote!